My last post about solar affiliates was so popular I thought I would give you some more information about how to become a solar affiliate! 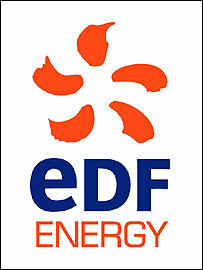 EDF Energy is Britain’s largest electricity generator. They have commitments including to reduce the intensity of carbon dioxide emissions from our electricity production by 60% by 2020. They provide customers the Eco20:20 green option as well as other green and environmental friendly products can help you do your bit for the environment. Talk about an opportunity to do something for the Triple Bottom Line as a solar affiliate! They also enable you to micro generation technologies like solar thermal panels to generate your own electricity. Dual Fuel (Electricity and Gas) – £40. The EDF Energy affiliate program is a great opportunity to start your work in the solar affiliate field. As I said in my last post, using your affiliate marketing skills as a solar affiliate in a way that supports the Triple Bottom Line- People, Planet and Profit- is a great way to make your profit in an eco-friendly way. This solar affiliate program enables you to make your money with a product that helps the Earth at the same time by reducing carbon emissions and promoting clean energy. Because the solar affiliate field is still small compared to other affiliate markets, this is a great opportunity to be part of a positive, growing program. There are so many reasons to become a solar affiliate! The EDF Energy affiliate program is available on Affiliate Window, one of the sponsors of my blog competition. You can sign up to be a solar affiliate through the EDF Energy affiliate program here. Please do contact me if you are promoting any products relating to Solar Energy Affiliate Marketing and being a Solar Affiliate. I am very interested in solar energy affiliate business.I am going to set up an affiliate program. great information. I’m already using this affiliate. if you have further info on becoming an solar energy affiliate with any other companies please contact me. That really sounds very interesting. Great post by the way. Considering the fact that everyone and just about everything is going green these days. This just may be the market to get into. Thanks again for the great tips. Why call this a solar affiliate programme as it does not look much like a programme for solar just a way for them to sell their duel fuel and electric only. Where is the commission for installing solar panels.